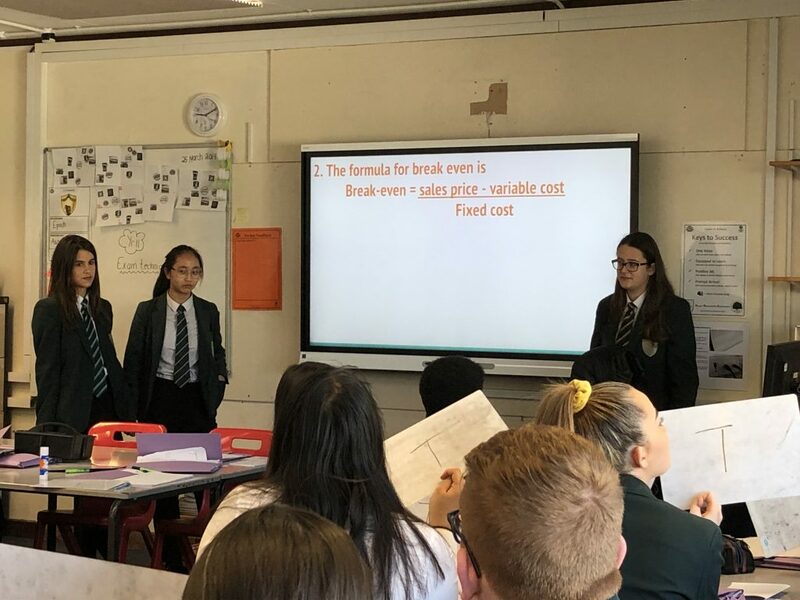 It was great to see Elaine, Kara and Pilar lead a stretch and challenge True/False starter activity that engaged all students in revisiting prior learning covered during their GCSE studies over the last two years. They asked supplementary questions to tease out understanding and also explained any misconceptions. 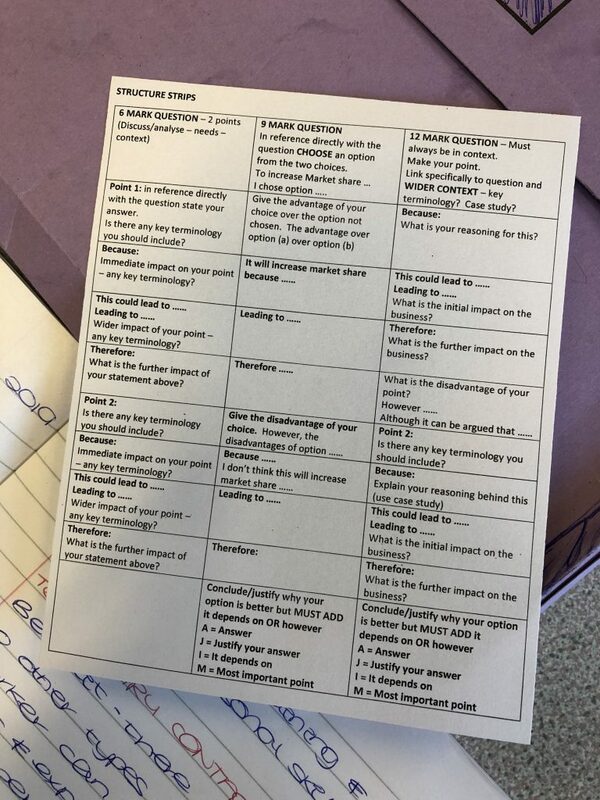 The lesson went on to focus on a very helpful structure strip which clearly showed the students how to plan a good examination answer and include the elements that enable them to get the top marks. 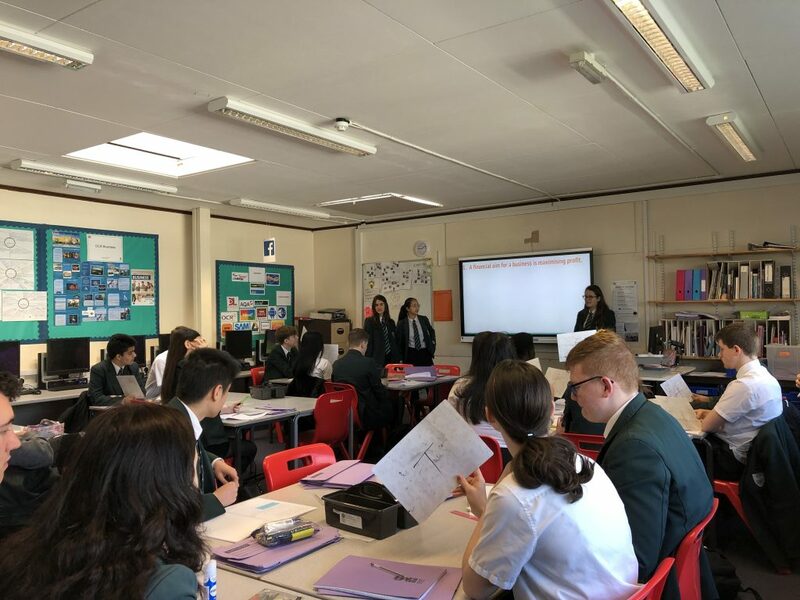 The whole lesson was about supporting students to get the maximum marks possible, stretching and challenging them to reach and even exceed their predicted aspirational GCSE levels.